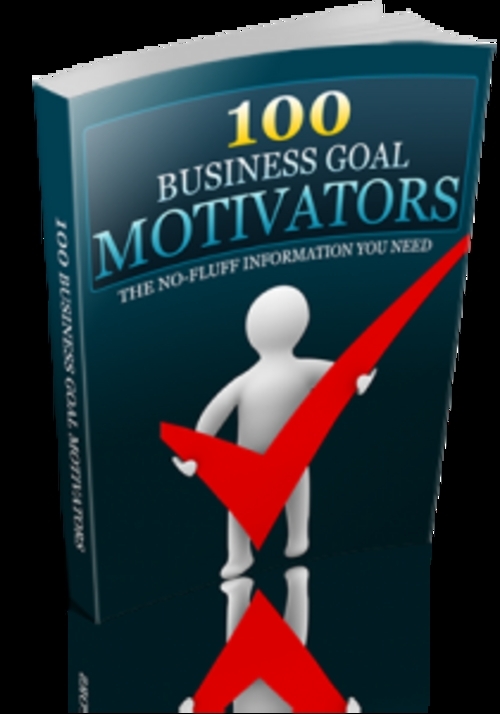 Business ebook 100 Business Goal Motivators comes with 100 business goal motivators. As you may know regularly viewing physical or mental pictures or videos of what you want or even need in life will motivate you to reach your business goals. Plus they will trigger you to think about the positive emotions. Youll finally have the motivation to do all the tasks and actions necessary to take you business to a new level.